about gardening from local gardeners. 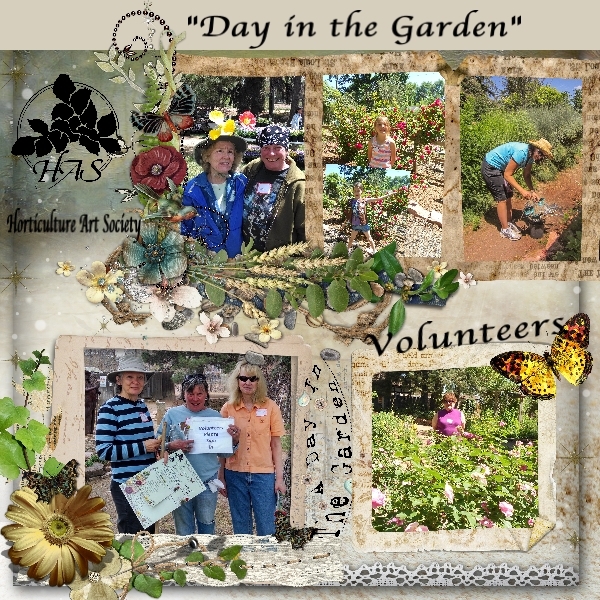 “Tuesday and Thursday Volunteers” – Join the HAS Gardener and others on Tuesdays and Thursdays, 9:00am – Noon (work any two hours or less in this time frame), starting in April through October to help in the Demonstration garden. Work may include planting, weeding, raking and other activities. Garden volunteers continue through the winter depending on the weather. If the weather is wet or cold, please reschedule your volunteering. Please contact hasgardens@gmail.com for more information. “Wednesday Volunteers” – Join the HAS Gardener and others on Wednesday mornings for any two hours or less from 9:00am to Noon, to help in the Heritage Garden, April through October. Work may include planting, weeding, raking and other activities. In case of wet or cold weather, please reschedule your volunteering. Garden volunteers continue through the winter depending on the weather. Please contact hasgardens@gmail.com for more information. Join us for our Great American Rake-Off in the fall – date to be announced. Rake and bag leaves, take some home if you like. Enjoy the physical activity, friendship and refreshments. Our annual Gigantic Annual Plant Sale in May relies on member volunteers–visit our Plant Sale page. If you’d like to volunteer with us, please provide the following information, touch the Submit button and we will be in touch with you.